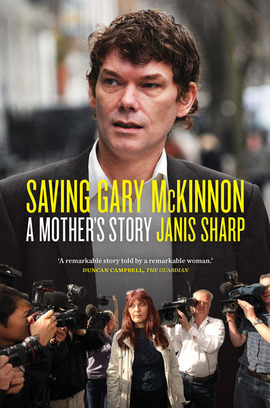 For ten years Gary McKinnon became the unwilling focus of Anglo-US diplomatic relations. A computer systems analyst living in London, he firmly believed that the US government was withholding vital information about the presence of UFOs. The unremarkable lives of he and his mother Janis changed dramatically one morning in March 2002 when Gary phoned to tell her that he had been arrested and spent four hours at his local police station being interviewed about hacking into US government computers. Paul J McNulty, the then U.S Attorney for Virginia, announced that Gary was indicted in Alexandria, Virginia on November 12th that year, and simultaneously announced that the United States intended to extradite him. Janis Sharp's book is a wonderful insight into the story behind the headlines - and it was very brave of her to be so open about the impact on her and her family. There's much humour in Janis' recollections such as requests from the Home Office to stop writing to them "as the volume of mail from Gary's supporters was stopping them getting on with their work".